Unpublished field trials by pesticide manufacturers show their products cause serious harm to honeybees at high levels, leading to calls from senior scientists for the companies to end the secrecy which cloaks much of their research. The research, conducted by Syngenta and Bayer on their neonicotinoid insecticides, were submitted to the US Environmental Protection Agency and obtained by Greenpeace after a freedom of information request. Neonicotinoids are the world’s most widely used insecticides and there is clear scientific evidence that they harm bees at the levels found in fields, though only a little to date showing the pesticides harm the overall performance of colonies. Neonicotinoids were banned from use on flowering crops in the EU in 2013, despite UK opposition. Bees and other insects are vital for pollinating three-quarters of the world’s food crops but have been in significant decline, due to the loss of flower-rich habitats, disease and the use of pesticides. The newly revealed studies show Syngenta’s thiamethoxam and Bayer’s clothianidin seriously harmed colonies at high doses, but did not find significant effects below concentrations of 50 parts per billion (ppb) and 40ppb respectively. Such levels can sometimes be found in fields but concentrations are usually below 10ppb. 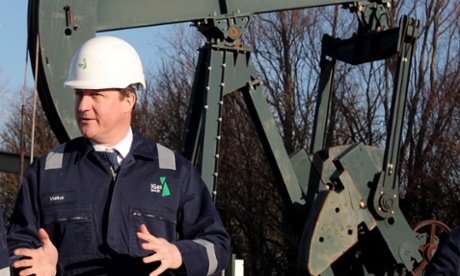 Fracking will take place below Britons’ homes without their permission after ministers rejected 40,000 objections to controversial changes to trespass laws. The UK government argued that the current ability for people to block shale gas development under their property would lead to significant delays and that the legal process by which companies can force fracking plans through was costly, time-consuming and disproportionate. There were a total of 40,647 responses to a consultation on the move to give oil and gas companies underground access without needing to seek landowners’ permission, with 99% opposing the legal changes. Setting aside the 28,821 responses submitted via two NGO campaigns, 92% of the remaining responses objected to the proposals. New laws will now be passed giving automatic access for gas and oil development below 300m and a notification and compensation scheme will be run by the industry on a voluntary basis. Our Food System Affects Biodiversity: Do We Want Monocultures? On today’s United Nations biodiversity day, we are being asked to focus on small islands and their unique ecology and fragility in times of globally pervasive threats such as climate change. But, the whole planet is a small island in the vast sea of space, capable of producing food for all as a consequence of rich biodiversity. That diversity is under threat, our actions can strengthen it or weaken it. Our agriculture systems can help mitigate climate change and feed us, or they can accelerate the change and contribute to hunger. The food system we choose has a direct impact on which type of world we will have. It’s the difference between a field that hums and is robust with life, or one which is dusty, dry and dead. It’s the difference between a place where ecological farming has been used or where a cocktail of industrial chemicals has soaked into the soil where the same crop is grown, decade after decade. Our current food and farming system is creating more and more of these dry, dead ends. 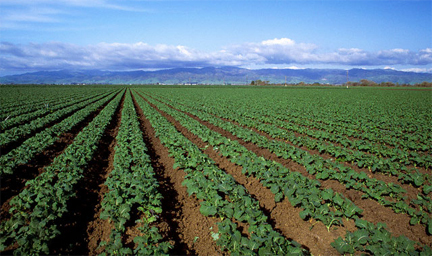 It is agriculture characterised by three things: the industrial-sized growing of a single plant, or “monoculture”, genetically engineered crops, and repeated toxic chemical infusions of pesticides and the application of synthetic fertilisers. All of these harm people and the farming ecosystems they depend on. Author AndrewPosted on May 25, 2014 May 25, 2014 Categories Pesticides, Pollution, UncategorizedTags agriculture, Bees, biodiversity, climate change, ecological, farming, food production, Greenpeace, horticulture, IPCC, monocultures, Organic, pollination, polyculture, Wageningen UniversityLeave a comment on Our Food System Affects Biodiversity: Do We Want Monocultures? Environment groups today wrote to the Prime Minister and Deputy Prime Minister to condemn Environment Secretary Owen Paterson’s support for growing GM crops in Britain (1). Greenpeace, Friends of the Earth, GeneWatch UK, GM Freeze and the Soil Association expressed concerns that controversial RoundUp Ready GM crops might be planted in England as early as Spring 2015, leading to harm to the environment. At the EU’s March Environment Council meeting, Paterson supported a proposal which would fast-track GM crops for commercial cultivation in pro-GM countries, whilst allowing anti-GM countries to opt out (2). 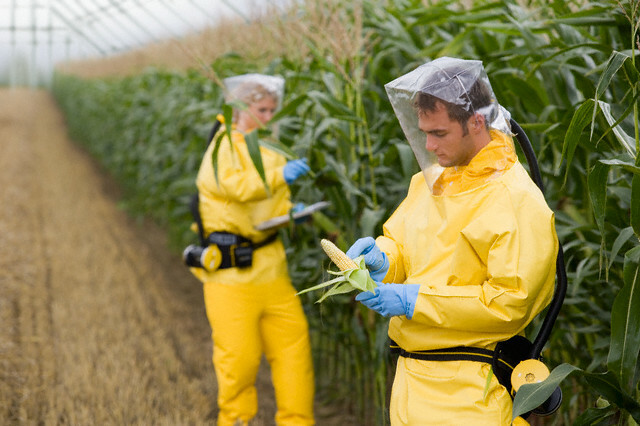 The first GM crops in the pipeline for approval that are likely to be grown in England are Monsanto’s RoundUp Ready GM maize NK603 and Syngenta’s GA21. These crops are genetically engineered to withstand blanket spraying with the weedkiller glyphosate (brand name RoundUp). Monsanto has not withdrawn its application to plant NK603 in the EU, despite announcing in July 2013 that it would do so (3). Previous plans to grow herbicide-tolerant GM crops commercially in the UK were abandoned in 2004, following the Farm Scale Evaluations (FSEs), which showed that blanket spraying with weedkillers destroys important habitats for birds, butterflies and other wildlife (4). These concerns have been borne out in reality in the United States, where widespread planting of RoundUp Ready crops has led to a drastic decline in numbers of the iconic Monarch butterfly, due to the destruction of the milkweed habitat where they lay their eggs (5). ‘Superweeds’ which have evolved resistance to RoundUp adversely affected nearly half of US farms surveyed in 2013, leading to major economic and environmental problems as spraying with other more toxic weedkillers has increased in response (6). Monopoly control over the seed supply, which is patented, has also led to major seed price hikes for farmers. “Monsanto and other GM companies are desperate to push their GM crops into other countries before the devastating impacts on wildlife and farming destroy existing markets” said Dr Helen Wallace, Director of GeneWatch UK, “The Government should not be caving in to commercial lobbying and putting British birds and butterflies at risk”. “The Soil Association hope that David Cameron does not want to be remembered as the Prime Minister responsible for the beginning of the end of organic farming in England. If GM crops spread, GM contamination will make organic farming impossible, and our growing organic market will have to be supplied with imported food”, said Peter Melchett, Soil Association Policy Director. “British consumers don’t want to eat GM food and both Scottish and Welsh governments have made it clear they are opposed to GM crops. So why are our representatives in Westminster doing their level best to hand over control of our food and our natural environment to big business?” said Liz O’Neill, Director of GM Freeze. “Ten years ago the UK Government reviewed the scientific, environmental and economic impacts of GM crops and food, and concluded they offered little benefit to the UK. Despite much huffing and puffing from its advocates, little has changed and the propositions on offer from the biotech industry are largely the same as they were. But the UK Government is so in thrall to industry hype that they want to deconstruct the EU single market – previously the only thing about Europe they wanted to keep – in order to grow GM crops that nobody wants”, said Dr Doug Parr, Chief Scientist, Greenpeace UK.